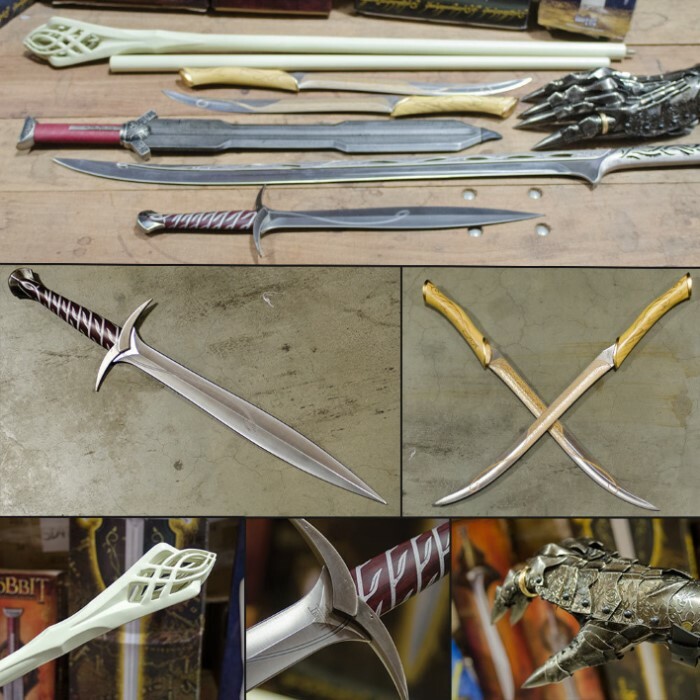 Lord of The Rings / The Hobbit Scratch & Dent Mystery Collectible | BUDK.com - Knives & Swords At The Lowest Prices! 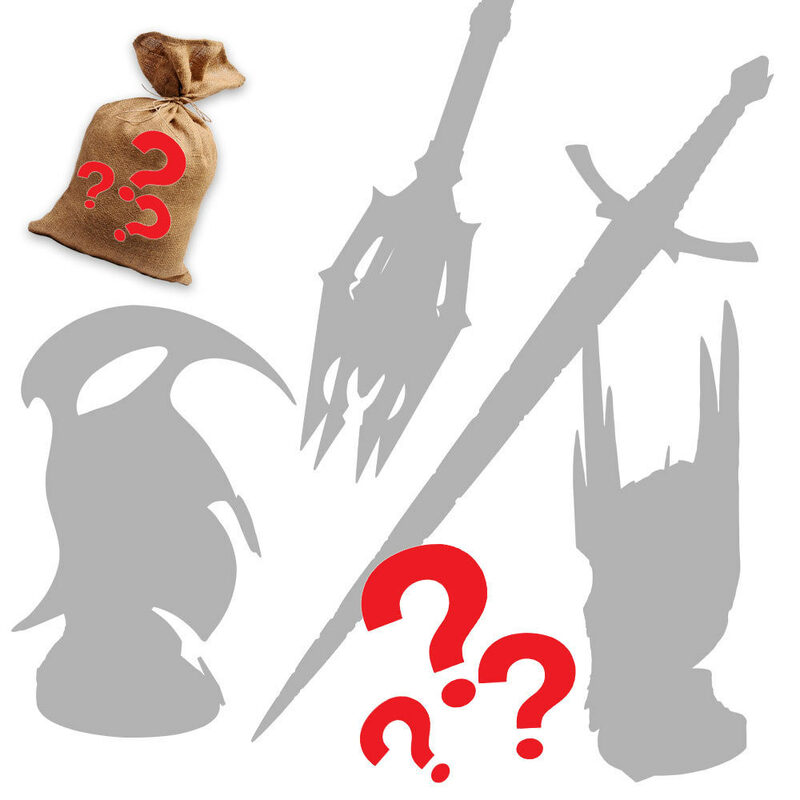 We have an incredible savings opportunity for our fans of The Lord of the Rings and The Hobbit! We've come across a stash of scratch & dent pieces that we are moving out at incredibly low prices. Each piece is an authentic, officially licensed replica collectible manufactured by United Cutlery. Maybe you'll get Gandalf's staff; perhaps the Sting sword of Bilbo Baggins, the Fighting Knives of Legolas Greenleaf or even some of the original LOTR pieces that were retired years ago! You'll be like a kid opening presents at Christmas when your package arrives. As you know, most of these items retail for hundreds. This scratch & dent sale allows you to own these replicas at a fraction of their retail price. I had been watching this one for a awhile and when it became available I struck fast and was fortunate. I received Anduril, the Flame of the West. It is a massive item and the only issues I could find were with the packaging (sword point stop on the bottom was moved so sword had poked from package). After some significant blade polishing (lots of prints) this beautiful item is now hanging from my wall. Another great deal from BudK! Like the previous reviewer, I received Anduril, which is one of the more expensive items in the collection. Needless to say, I came out very well on this deal! I got the item for a fraction of the price. I inspected the item very well and the only flaw I could find was a ring stain on the back of the box. I wouldn't have even noticed it if I had ordered the item new. I was taken aback at how big the sword replica was. I say sword replica because for some reason these reproductions don't come with an edge. I also have the Fighting Knives of Tauriel (I did not buy them through Mystery Scratch & Dent) and they also don't have an edge. I was worried I wouldn't have space to display it because it's so big. It's a beautiful replica. Thanks BUDK for the great deal! Aside from getting a perfect new in box Anduril for the 3rd time these deals are great. I finally got Orcrist with absolutely nothing wrong it. Definitely worth taking the chance. Thanks BUDK for another sweet nick and dent sale! I was able to get yet another piece that I don't have with little to no damage! Amazing, I will do this again. Got Sting and have to say it was perfect all but the box was roughed up, everything inside was fine though all parts are good and accounted for. Love this mystery box deal doing it again as soon as it is in stock!!! Thanks BudK I recieved my LOR/Hobbit scratch & dent mystery piece the other day. To say I was pleasently surprised is an understatement. I recieved the Mace of Sauron with the One Ring in the expanded size before it shrunk, and the wall hanger for the Mace and the Ring. It hangs on the wall next to Gandalf's staff. Thank you much, a great piece. I look forward to a future purchase when they become avaiable again. Thank you BUDK for sending me two more amazing deals! I love my new swords. Only missing a plaque on one which is fine with me! Thanks BUDK! I was happy to receive two items that only had some slight issues but I am super happy to give them a home! Can't wait to get more of these guys! I have bought two of these and I can say don't get your hopes too high. 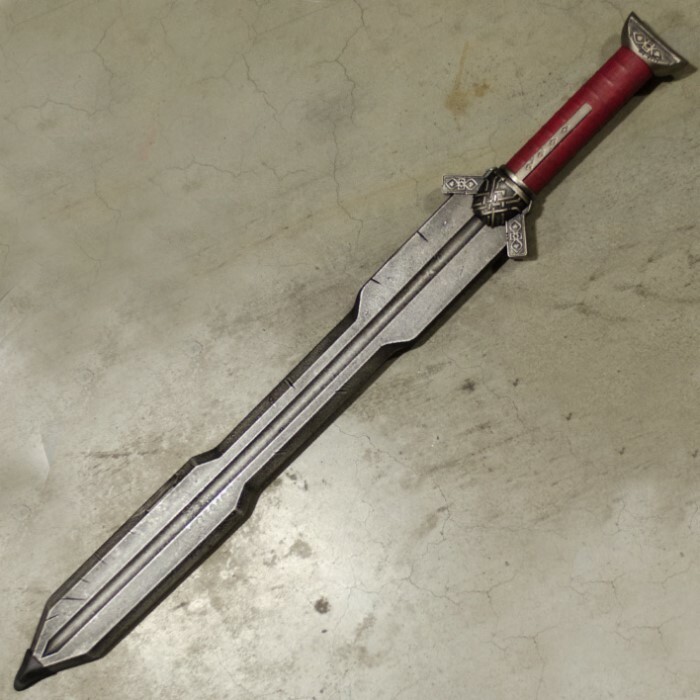 My first item was amazing, Sword of the Witch King-nothing wrong with it at all, it was just missing the cardboard sleeve that goes over the styrofoam. 2nd item- Anduril except the pommel had broken off, except they didn't even include the pommel. So I can't even attempt to fix it. No idea what I'll do with this thing now.